Softlon® Insulated sheet metal is ready-made for interior and exterior construction. It is produced with high technology by using heat to attach the metal sheet to SOFTLON. HEAT LAMINATION process is utilized to enhance the metal sheet’s insulator, steam resistance and soundproofs features. 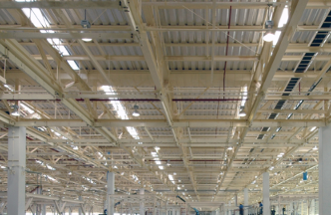 Reduced cooling and heating loads, greatly contributing to energy efficiency. Prevention of moisture condensation on inner face, extending the buildings life. Stable heat insulating performance even in high humidity environments. Noise insulation effects, for example, dampening of drumming noise. Improved safety of work, and no health hazard. Excellent chemical resistance and solvent resistance. 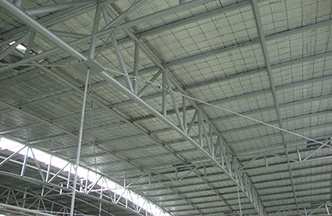 Softlon® Insulated sheet metal made from physically cross-linked closed cell polyolefin foam. Excellent heat insulation with a lower thermal Conductivity (0.032 W/mK) than any other flexible insulation material, an almost zero vapour permeability. Available for either laminating with adhesive.